Nicolas Wine Fair-first time in London! 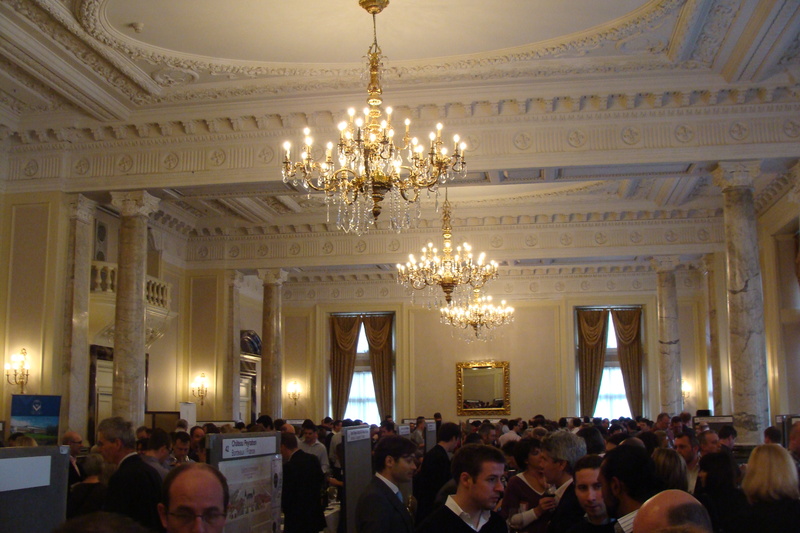 The first time ever, the Nicolas Wine Fair at The Royal Horticultural Halls in London last weekend was a huge success. The elegant premisses were packed with wine lovers eager to taste as much as their bodies could take in. There were many happy faces. The right to meet new friends as everyone wants to share their impressions about various wines. You could see couples trying to find wine they both enjoy to relish it later together while having a romantic dinner. But also loners, who bravely cruised from one stand to the other, were not rare. I was one of them and as a women I stood out. Nevertheless, I was warmly welcomed by each producer I approached and my peculiar questions were answered promptly. There were over 200 wines & spirits from all over the world. Majority of them from France, therefore I decided to focus my tasting on the French producers. I started with the Famille Bougrier from Loire Valley. Loire is famous for its crisp Savignon Blanc, Chenin Blanc, exotic Muscadet and red Cabernet Franc in Touraine area. I tried their Savignon Blanc, Grand Reserve from Touraine which couldn’t disappoint anyone. It was crisp and fruity. I liked it a lot. I moved to a semi-sweet Vouvray made from Chenin blanc. Its complex and light sweetness was mouth-watering. I got a detailed explanation of all of the wines as well as information about the family’s wineries. At just the next stand, there was an Alsace producer the Domaine Schluberger. I admit, I am a big fan of wines from Alsace as they are something in the middle road between the rich German wines and more elegant French wines. A keen producer recommended me a Riesling from a Grand Cru vineyard Kitterle 2004. “It is my favourite, he said.” More minerals than usual and its lighter body were quite interesting, though I preferred the Riesling from the late harvest in 2005 called Vendages Tardives. I was said that Riesling is not usually picked late. In the Vendages Tardives the late harvest resulted in a more sweet taste and an elderberry flower aroma. More typical for late harvest is Gewurtztraminer and Pinot Gris. 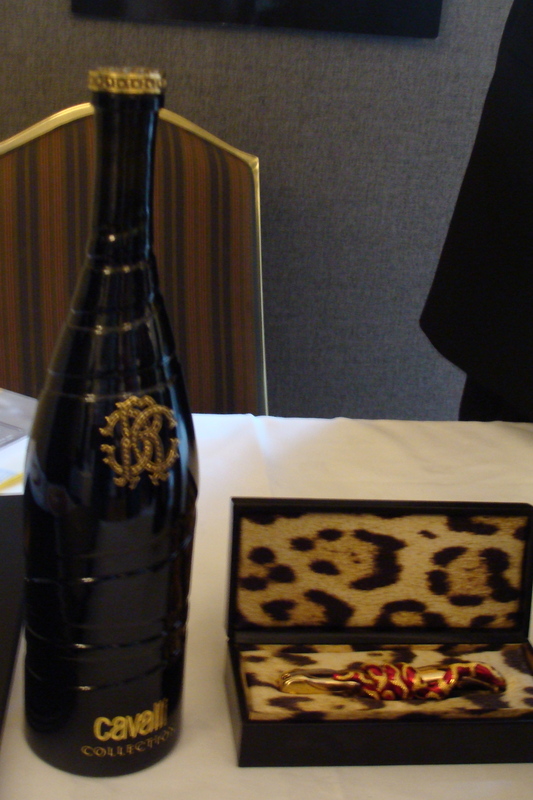 The former from a Grand Cru resembled more exotic flavours such as pineapple and li-chi. Organic wines are a big hit so they could not be left out at the Nicolas wine fair. Correns is a village in the heart of Provence Verte, in the South of France, and it is almost all organic! This tradition is nothing new for locals as 95% of the wines from there are Organic. According to their leaflet it was the first village to be designated “bio” . I have tried a rosé, which the young women next to me considered as the best rosé she has ever had. She said: “I have never liked rosé, but this is the very first time I come to love it!” I thought that it is wonderful to see people liking something they would never have thought they might like. There was much more to taste, you could spend an afternoon here. Hopefully, next year Nicolas will repeat the success of the Wine Fair and attracts as many producers as this year. Perhaps the most famous Charity wine auction on the world will take place on Sunday 15th November 2009 at the traditional covered market in Beaune. This is the longest-established Charity wine auction which used to be run by the gothic Hospices De Beaune in Burgundy. However, since 2007 the prominent auction house Christies took over the organisation of the event that is traditionally held on the third Sunday in November. Hospices de Beaune was founded in 1443 by Nicolas Rolin, Chancellor of Duke of Burgundy. Poverty and famine in the wake of the Hundred Years’ War in France lead this profound man to establish a hospital for poor inhabitants of Beaune. The income was secured from saltworks and vines. Today, the proceedings from wine production remain to be donated to charity. Every year in November wines made from more than 61ha of vineyards owned by the hospice winemaker are auctioned off at a charity auction attended by wine lovers as well as wine merchants from around the world. It is a prestigious event highly sought after by the most prominent wine connoisseurs and a great opportunity to connect wine and a good cause. You can find a wide range of Premier and Grand Cru wines from Beaune, Batard-Montarachet, Corton, Corton-Charlemagne, Clos de la Roche, Mazis-Chambertin, Meurault, Pommard, Pouilly-Fuseé, Savinny-lés-Beaune and Volnay. The best of these are auctioned and the rest are sold at the adjoining wine shop. Today, the hospital is just a museum and an adjourning Hotel-Dieu serves as a top accommodation for curious tourists. Burgundy, with its fresh and friendly attitude towards wine production, is perhaps the most significant wine region in France. 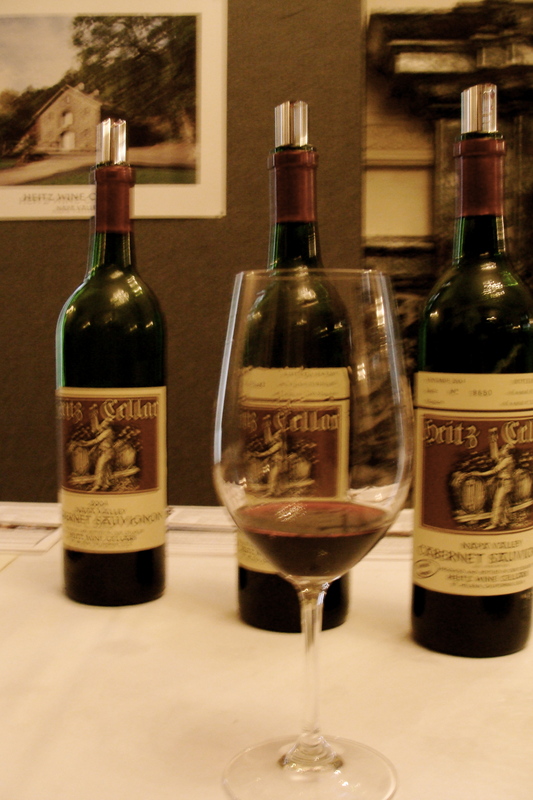 Forget the heavy, old and pricey Bordeaux usually developing its full potential with ageing. Delicate chardonnay in whites and pronounced Pinot Noir in red wines guarantees a unique and harmonious experience. I took his words to heart and decided to explore it first hand. I packed my wine guidebook and boarded the plane from Heathrow to Lyon. While landing I observed the astonishingly colourful landscape of Burgudy and a question popped out of my head: Is it Beaune, Dijon or Lyon who should wear the crown of Burgundy? Beaune is surrounded by villages with pompous names like Aloxe-Corton, Pommard, Savigny-lés-Beaune, Meursault, Volnay… Not ringing the bell yet? Fine, more follows, Vosne-Romaneé, Puligny- and Chasagne-Montrachet. If we judge by wine, than Beaune is the king! Dijon is famous for its luscious mustard and Lyon for its outnumbered Michelin star restaurants (there are 37 of which three have three Michelin stars!). But if we talk about wines, it is Beaune and the villages around bursting with spectacular vineyards. The town itself is located in Cote de Beaune just below the Cote de Nuits, home of Domaine Louis Jadot, Leroy and the most famous Domaine de la Romanée Conti. All of these are easily reachable within 20 minutes by car. Nevertheless, Cote de Beaune does not stay behind. Producers like Bouchard Pére & Fils, Domaine des Comtes Lafon and Domaine Bonneau du Martray figure on the labels of the world famous wines. Bouchard Pére & Fils is located right in the centre of Beaune at rue du Chateau. Its best wines are Chevalier-Montrachet and the long named Beaune Gréves Vigne de l’Enfant Jésus. A stone throw from Beaune is Domaine des Comtes Lafon producing Meursault from the outstanding terroir Perriéres where the first quality chardonnay is planted. It is a much better choice than the touristy Chateau de Meursault which has vineyards at Perriéres as well. I have tasted a couple of wines from this 11th century Chateau and was disappointed. Although, I really enjoyed sipping from the freely available open bottles while touring the 800,000 bottles cellar under the Chateau. If your ever end up in Beaune try to eat at Bistro de L’Hotel offering not only typical Burgundese food, its Gratin truffles will blow your mind, but also a wide choice of local wines. The Beaune 1er Gréves 2006 – De Montille was so tender and fruity, that we drunk the bottle before the cheese tray arrived! Though wines by the glass are also spectacular. 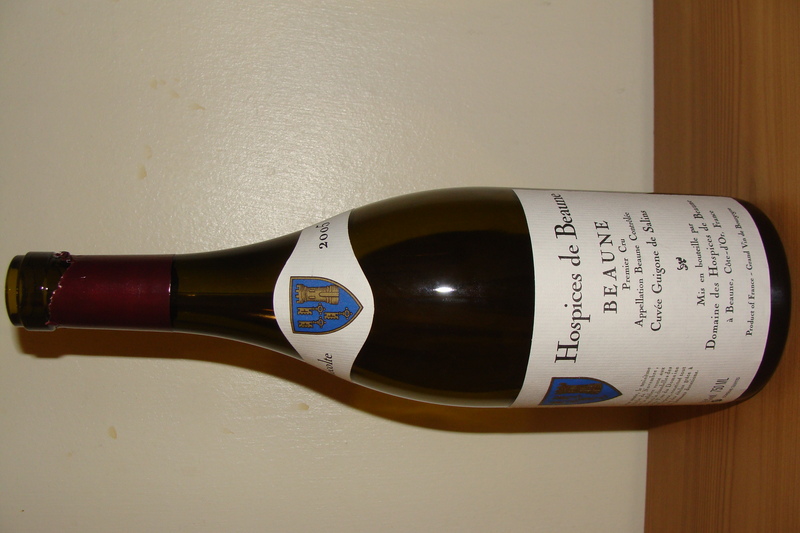 What is amazing about Beaune’s wines is that they can be drunk young while tasting gentle with a very low acidity. Even though there is not a single Grand Cru in the area, these wines won’t disappoint you. We all have different preferences and if your taste buds are like mine, the fresh reds from Savigny-lés-Beaunes will make you very happy.